Christmas is in the air and there are many little things in our surroundings to remind us of this fact and get us into the holiday spirit. If you truly want to get in the jolly mood for the holiday, one of the best things to do is to listen to some classic Christmas music performed by some of your favorite musicians. If you're a fan of Andrea Bocelli's and the late Natalie Cole's, then you will absolutely adore this special collaboration in honor of the holidays. 'The Christmas Song' was originally written in 1945 by Bob Wells and Mel Tormé. In the years since then, many singers have performed their own rendition of the timeless classic. One of the most well-loved version was done by Nat King Cole, in 1961. Tormé's youngest son, James, once revealed to NPR that the song was written on a hot day and Tormé wanted to think of something to make him stay cool. Thus, the popular Christmas song was created. There was a spiral pad at the piano. There were four lines scribbled down on it in pencil." Those four lines were: "Chestnuts roasting on an open fire / Jack Frost nipping at your nose / Yuletide carols being sung by a choir / And folks dressed up like Eskimos. After all these years, it continues to remain a hit. So much so that Andrea Bocelli and Nat King Cole's daughter, Natalie Cole, came together to perform their own version of the song, which was absolutely mindblowing. In the video, which was shared on Bocelli's page in October 2015, the singer was joined by Cole, who kickstarted the performance, lending her soulful voice to the timeless lyrics before Bocelli joined in. The combination of both their voices is magical to witness. They definitely had the audience applauding when they were done. While sharing the video link on Facebook in January 2016, Bocelli added, "will miss you," to the caption as Cole had passed away shortly before, on the 31st of December 2015. 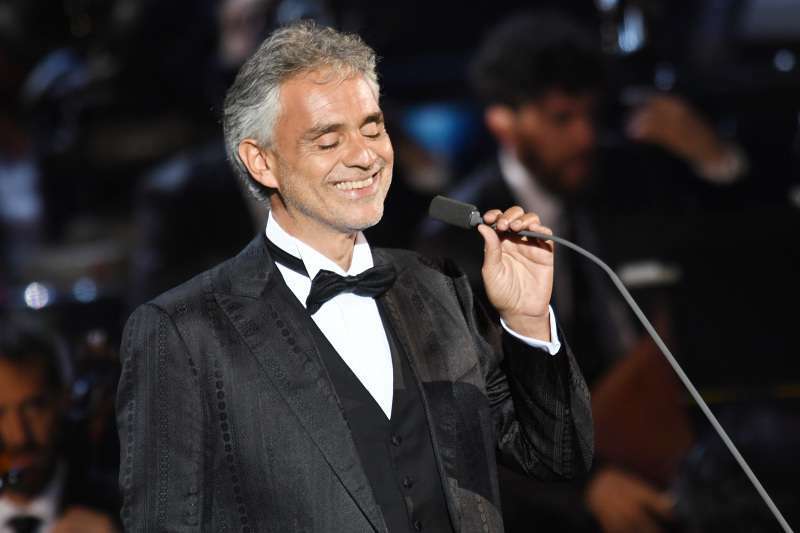 Fans of Bocelli took to social media to say what they thought of the performance. And based on the comments it's safe to say that most people absolutely loved it. Truly an amazing performance. The talented Natalie Cole will definitely be missed.